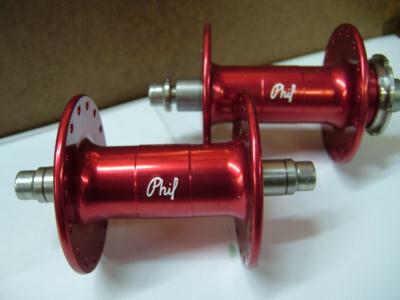 Description: These are classic-high flange hubs made by Phil Wood.32 holes front hub with 100mm spacing. These hub features a stainless steel bolt-on axle design made for allen key removal. These hub features percision sealed bearings and hardware.